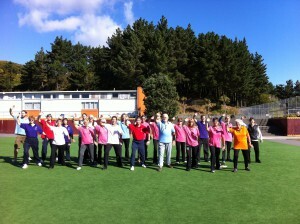 Practising Wilds Goose- Dayan Qigong allows us to take responsibility for our own health. 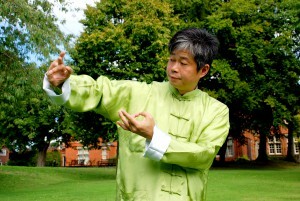 Wild Goose – Dayan Qigong draws on thousands of years of traditional Chinese knowledge. Through movement and meditation, energy or ‘Qi’ flows throughout the body, connecting with acupuncture points, channels and meridians, to organs, joints and muscles. Learning deep relaxation and correct posture allows movement to promote free circulation of internal energy with beneficial external effects. This includes strengthening kidney energy and the immune system, helping protect us against infection and other illness. 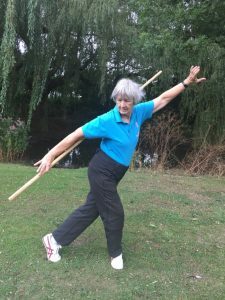 Many people with sore back issues also have found significant, even dramatic improvement through practising Wild Goose – Dayan Qigong. It creates the conditions for optimum health and energy within each individual’s potential for development. 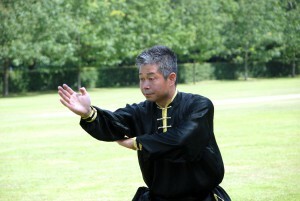 The promotion and practise of Qigong – literally energy work – developed over many centuries and has many different traditions. Dayan Qigong, which translates as Wild Goose Qigong, originated around 200 CE in the Kunlun Mountains of Western China during the Jin Dynasty. There, Daoist Monks observed the movements of the bar-headed geese which rested in the mountains during their long flights north and south. Drawing on these observations and their Daoist philosophies of following nature, five element theory, the concepts of yin and yang and the importance of balance, the monks began to develop movements for exercise which would grow health and wisdom from the inside to the outside. The spread of Buddhism throughout China in this period also influenced the developing system – credited to the Buddhist monk Dao An who lived in the Kunlun mountain area. 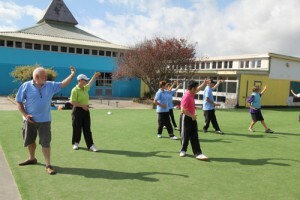 Dayan Qigong was passed down secretly (to preserve the skill), through many generations. Eventually the 27th generation person to inherit this precious skill was a remarkable woman Yang Mei Jun who died in 2002 aged 104. Master Tse, Wei Jing (Michael) was privileged to study with Yang Mei Jun when she opened the skill to the public after the Cultural Revolution in China. 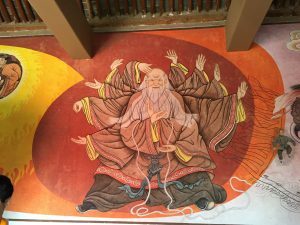 He is the 28th generation inheritor of the Dayan Qigong skill and has committed his life to passing it down to future generations, retaining the integrity of the skill and its traditional cultural setting. 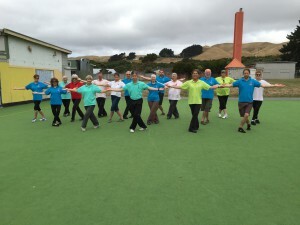 Dayan Qigong – what will I learn in the classes? 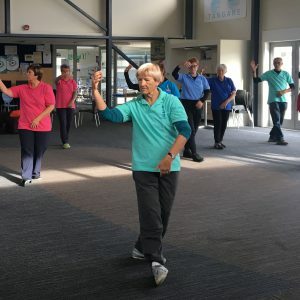 Master Michael Tse has devised a syllabus to guide student’s learning of Dayan Qigong, starting with fundamental exercises and gradually adding more of the many possible forms in the system. Each form brings health benefits to different areas and organs of the body. 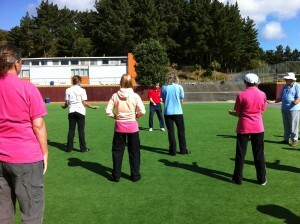 Each class begins with exercises to warm and stretch the joints and muscles, and train the body to move from the waist. The whole class then practises the foundation form of Balancing Gong where you work with relaxation and posture. 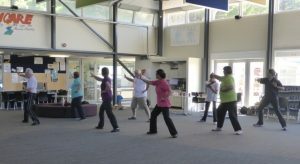 Beginners will learn three movements to take home and practise, and each week will be checked and then learn some more. This creates the good foundation for learning more advanced forms later on. Master Tse designed these further sets of exercises to help students learn relaxation and good posture – essential to let Qi flow and benefit the body and mind. 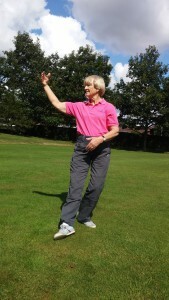 These sets of exercises also help with co-ordination and building strength. 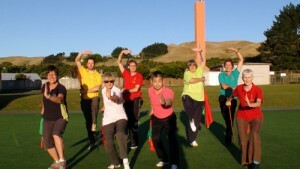 Qigong works with both gentle and strong movements – yin and yang – as both are important for good health. The Wild Goose form is a sequenced, choreographed series of very beautiful movements based on how Wild Geese move. Moving the whole body and connecting with acupuncture points to bring Qi to various organs and joints, the First 64 movements help heal post –natal health issues that occurred after birth. The Second 64 goes deeper and works with issues from pre-birth – inherited issues. The syllabus includes some formal meditation forms but every class and practice session concludes with a brief relaxation, a standing meditation to store the Qi created during the practice. 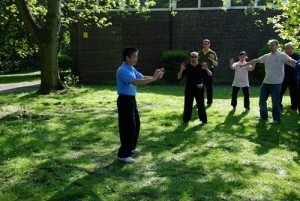 Movement and meditation are both equally important when learning and practising qigong.